A splash of olive brine qualifies this oyster martini shooter shooter recipe as “dirty.” The hit of cocktail sauce stirred into each makes them downright off-color. It’s the best bad influence to cross your lips. Consider yourself warned (and tempted). Combine cocktail sauce ingredients and stir until blended. Set aside. Take four martini glasses and add a freshly shucked oyster with liquor to each. Top each oyster with 1 teaspoon of cocktail sauce. Pour vermouth and vodka into a cocktail shaker with crushed ice. Shake until cold and strain into the four glasses. Add ½ teaspoon of olive juice to each glass. Garnish with olives and serve immediately. These oyster martinis are bold, briny, and strong. It may not stir your heart, but it will definitely stir your taste buds! 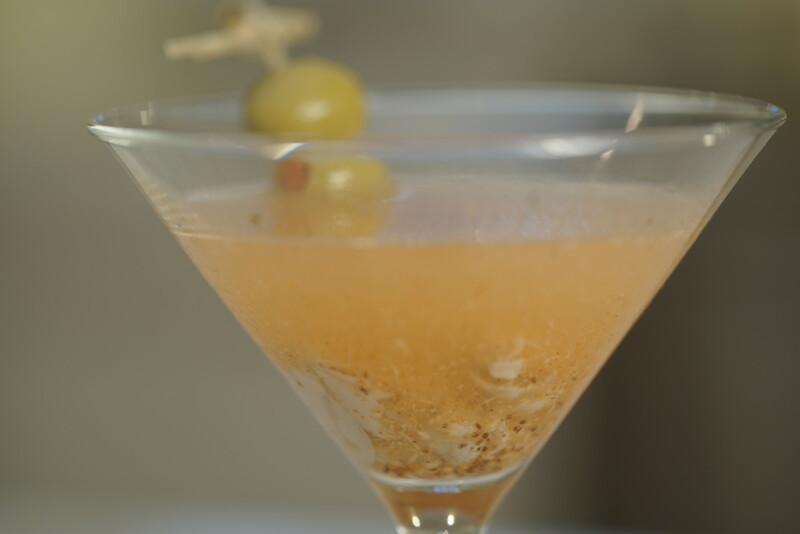 Johnny Carson said, “Happiness is finding two olives in your martini when you’re hungry.” Imagine his joy if he also found an oyster. Find more oyster shooter recipes from your favorite magazines, cookbooks, chefs and food blogs. See more oyster videos and subscribe to the Oyster Obsession YouTube channel. 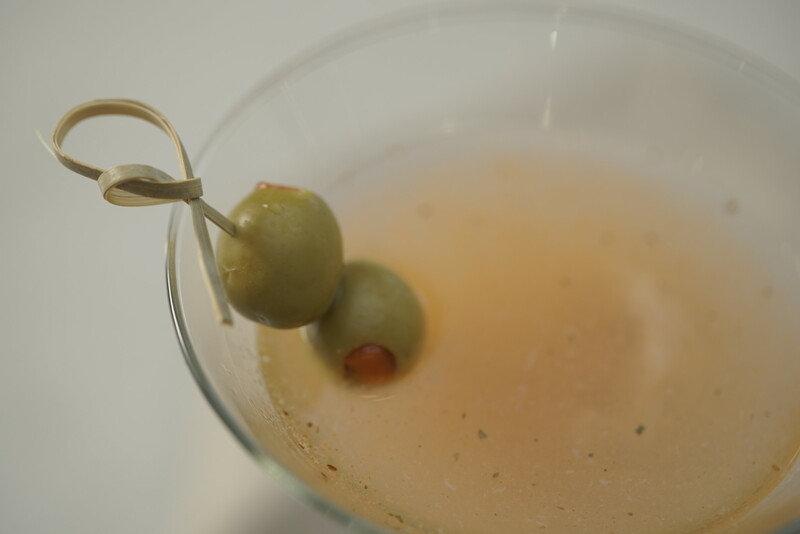 Get great tips and learn “How Not to Mess Up a Dirty Martini” at PureWow.